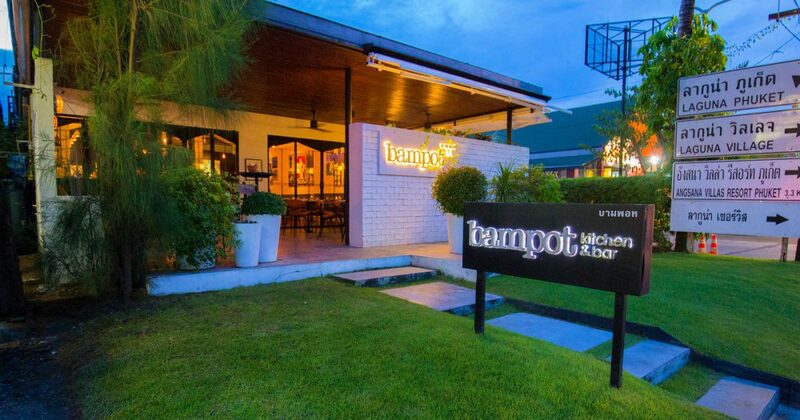 Bampot Kitchen & Bar is a fantastic contemporary restaurant located at the entrance of Laguna Phuket, just past Boat Avenue in Bangtao. 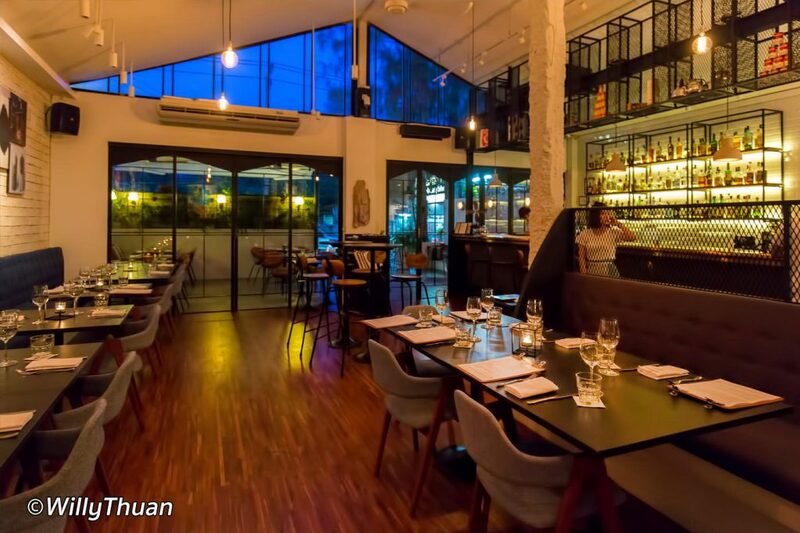 The restaurant is spacious and beautifully designed with an open kitchen on the side. The atmosphere is trendy without being too sophisticated, and the food is a refreshing experience. 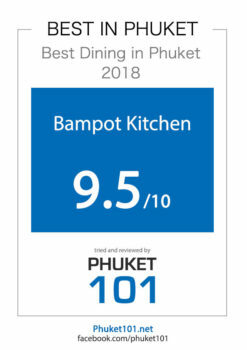 Bampot Kitchen serves modern international cuisine with a very personal touch from Chef Jamie. 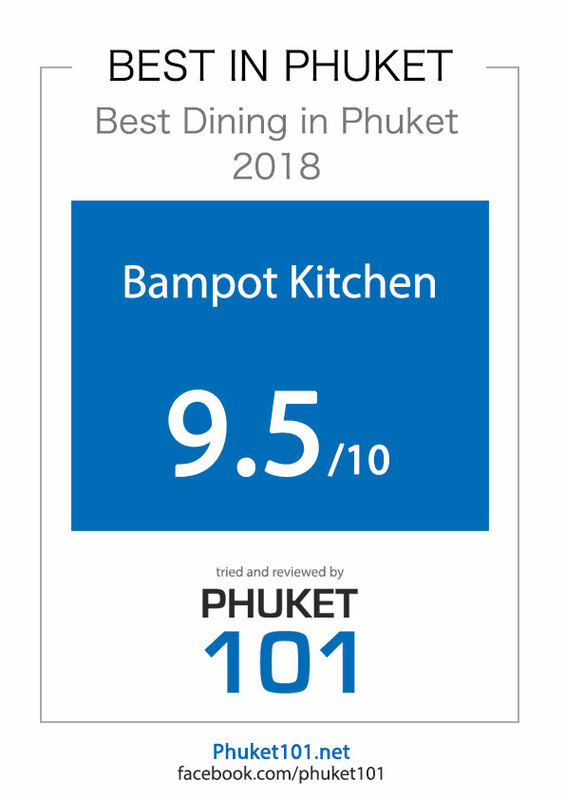 Bampot is one of the very few restaurants in Phuket that would effortlessly fit the new dining scene of Bangkok. Bangkok has now reached the Michelin stage, and Chef Jamie Wakeford has a long history with Michelin chefs. 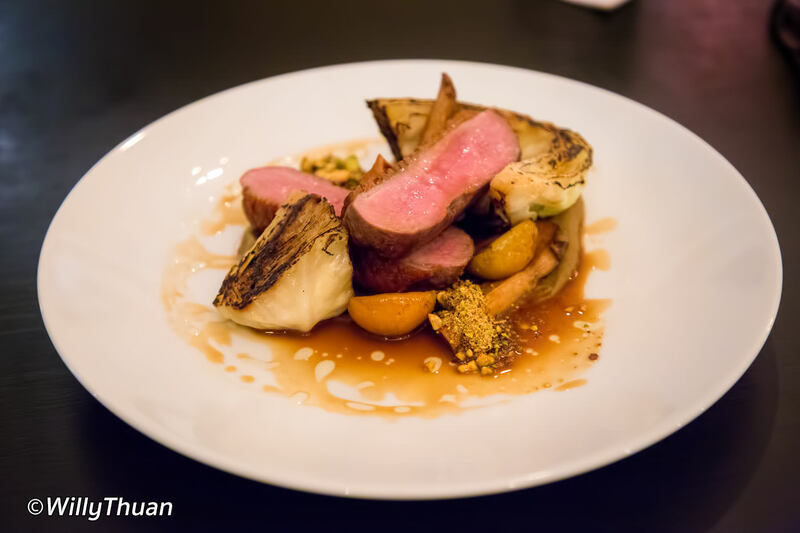 The dishes here are crafted beautifully, and you can tell that a lot of time and experience has been given to find the right balance with the right ingredients. 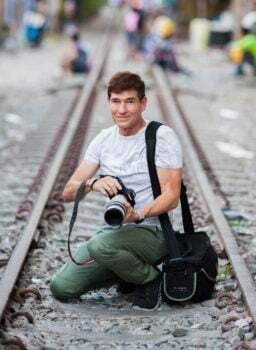 Bampot is a refreshing experience when you had just a little too much Thai food and would like to have a special dinner. After a long day in the sun, I appreciated the cosy warm atmosphere of Bampot. I arrived a little early and probably looked exhausted after photo shooting, and I was surprised how friendly the team was. (Remember we don’t inform when we do a restaurant review.) All along the dinner, the crew took great care of me, and I felt instantly comfortable. Starting with the right drink is always right. 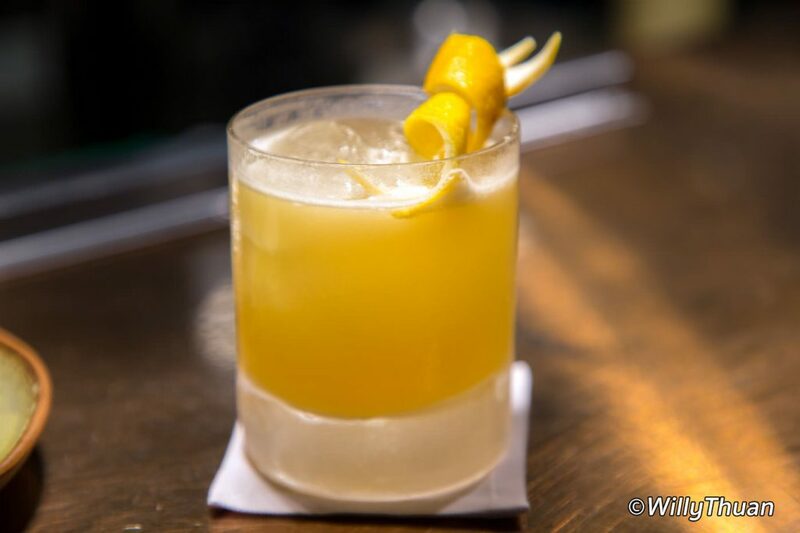 The cocktail list is unique with a long list of artisan cocktails so I had to try and so should you. I started with ‘The Faithful Scotsman’ one of their many fun cocktails (320 baht). I later allowed myself another recommendation: a ‘Mangoretto’ cocktail (280 baht). They were both perfectly mixed and therefore a little naughty on the side: alcohol was quite discreet but in the right amount, which often means there is more alcohol than you think in it! Bampot Kitchen also keeps an excellent wine list. As a starter, I was recommended to try the feta, cucumber and fennel salad (300 baht). It was just perfect — a simple yet sophisticated mix of tastes and textures combined in one dish. If you are familiar with modern cuisine, you will know what I mean. If you are not, maybe Bampot is an excellent place to start. My main course was more traditional as I was hungry and ordered a seared duck breast with burned cabbage, pistachios and jujube (550 baht). Here again, the balance was just right and the duck was perfectly cooked (see the photos). 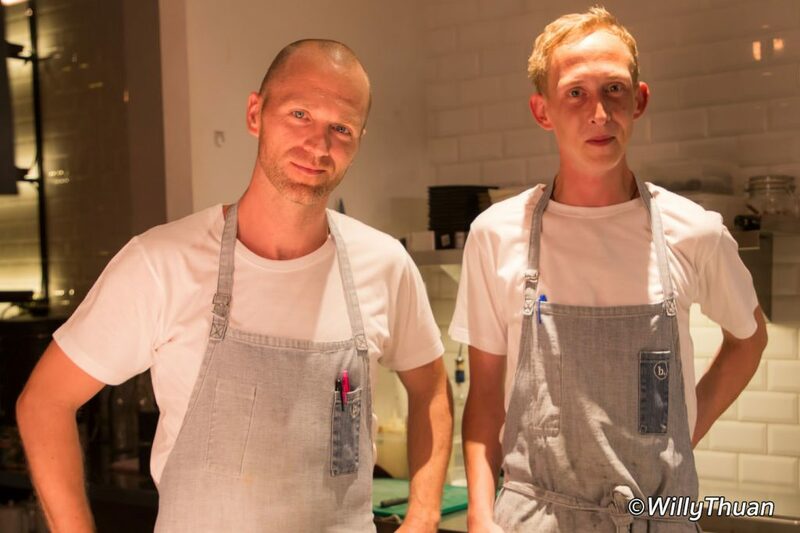 Chef Jamie Wakeford and his assistant are friendly guys from Scotland. 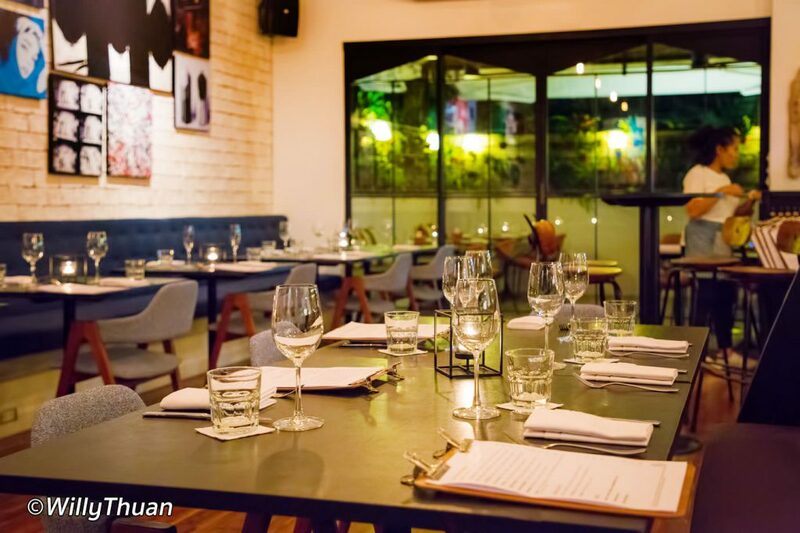 They succeeded in creating a unique and unforgettable dining experience you will remember for a long time, and prices are surprisingly affordable. If you are in the Bangtao area give them a call to secure a table. But in fact, Bampot is the kind of restaurant you should travel across the entire island to experience. Try it!